If you’re a true master of your domain, you’ll already have the above items lying around your place. Wrapping paper can be store-bought, but it doesn’t have to be. For a cool alternative, try using a recycled brown paper grocery bag. To garnish your package with some bespoke holiday flair, try a cinnamon stick and a sprig of rosemary. Rule numero uno: Make sure the price tag is removed from the gift. (Your aunt doesn’t need to know how much that “expensive-looking decorative soap” really cost.) Save yourself the embarrassment and get to peeling. Whatever you do, make sure the price tag is removed from your gift. Unroll the paper and lay the gift facedown. Fold the paper’s pre-cut side over one half of the present. Once cut, fold the two sides together and secure in the middle with tape. But hey, go easy on the tape. You don’t want to end up plastering yourself to your present. Now, let’s take care of those open ends. Starting with an open end facing you, fold in the right side of the paper to make a triangle against the edge of your present. Repeat with the left side. Fold the triangular flap up and secure with tape. Repeat with the other open end. Want to add some rustic charm? Outfit your present with string or twine. Put the twine on the top of the gift and center it. Wrap it around to the opposite side of the present. Cross the two ends of the twine and pull it tight. Turn the box back over so the cross is on the bottom. Pull the twine up over the two remaining sides. Tie the twine into a tight bow, using your finger to hold it down while you’re crossing the loops. For added flair, use the excess twine to tie the cinnamon stick on top—and don’t forget your gift tag. 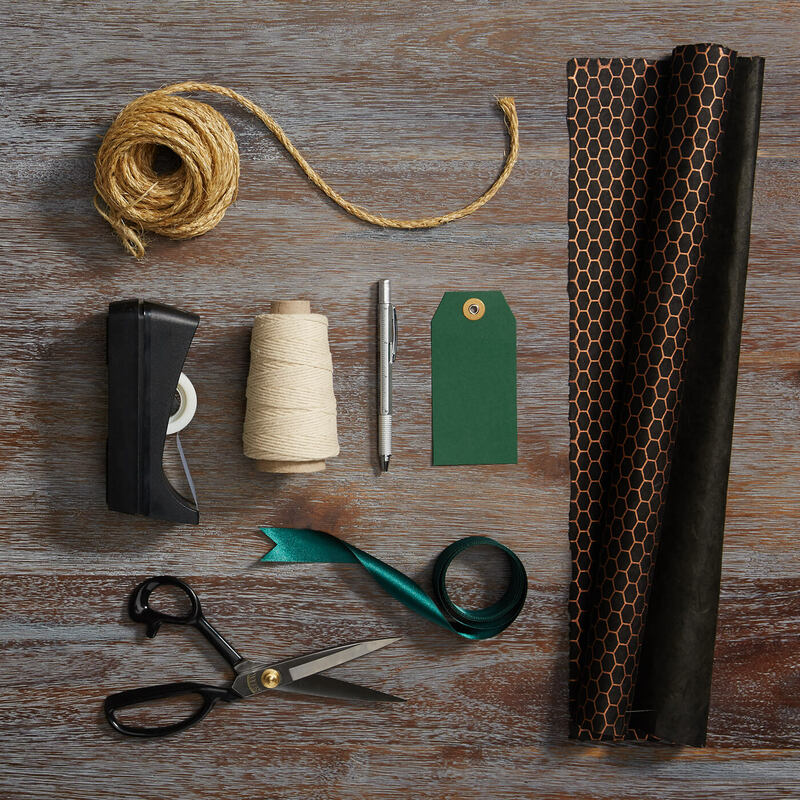 If wrapping presents still isn’t for you (hey man, you tried), go with a Stitch Fix gift card. It’s quick to print or email —and will arrive in time for the holidays.